Who has time to plan good ol’ day-in, day-out weeknight meals? 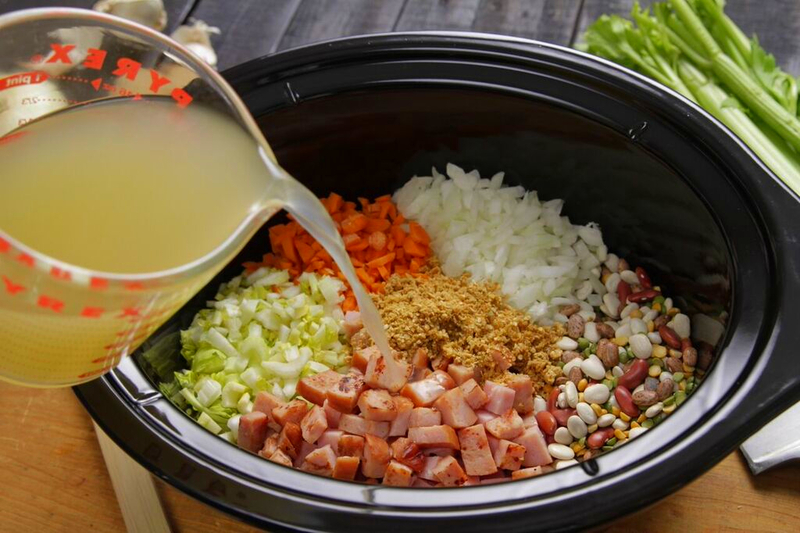 Well, your family’s still gotta eat in between all of their busy activities – and healthy, comforting meals that come together with the simple ease of a slow cooker are a win-win. 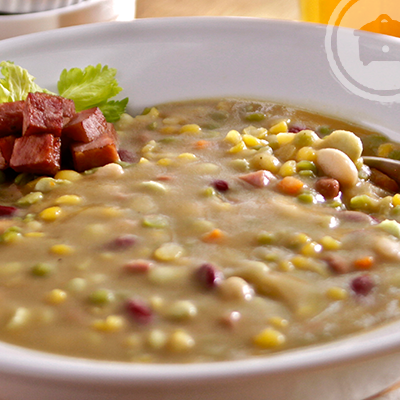 That’s why we love this nourishing Louisiana Bean Soup Mix. Easy to prepare, with just the right seasonings and spices incorporated into the mix, all you need to do is add a few fresh ingredients and simmer. 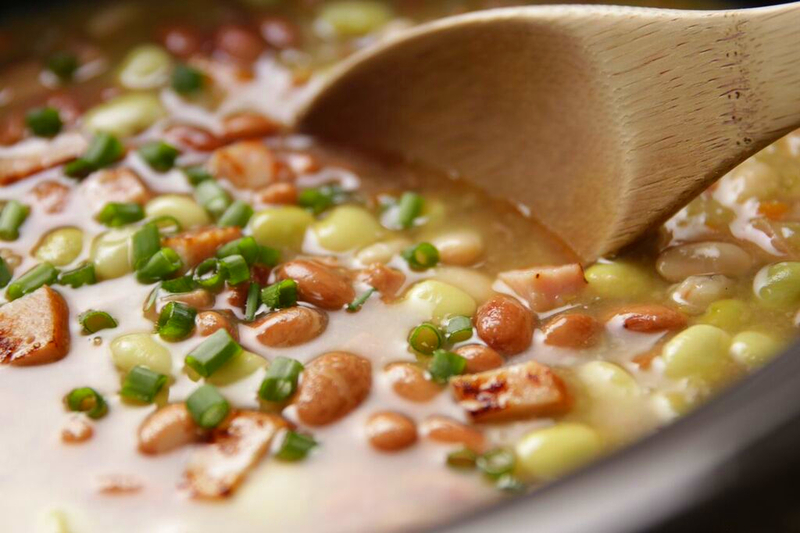 This hearty soup mix includes Camellia yellow split peas, green split peas, lima beans, pinto beans, red kidney beans, great northern beans and the perfect blend of seasonings in its own packet, so you can customize to your taste. 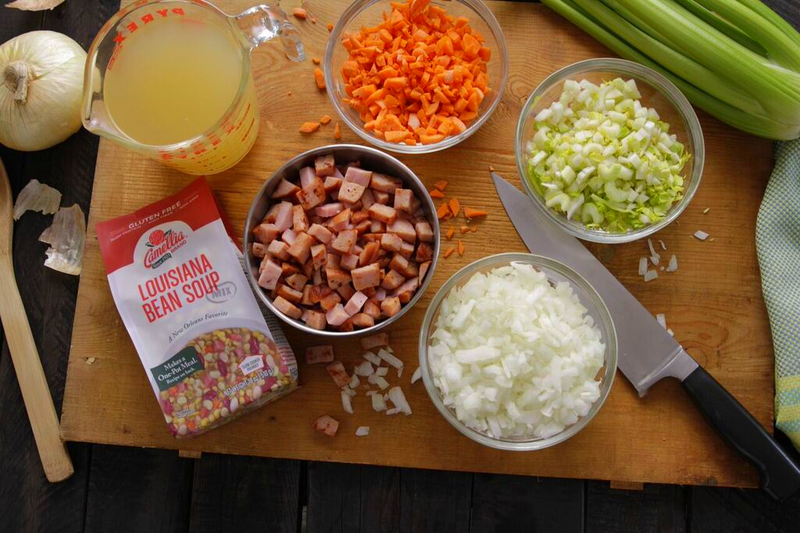 Simply add chicken broth, some chopped onion, carrot and celery, and cubed, smoked ham. 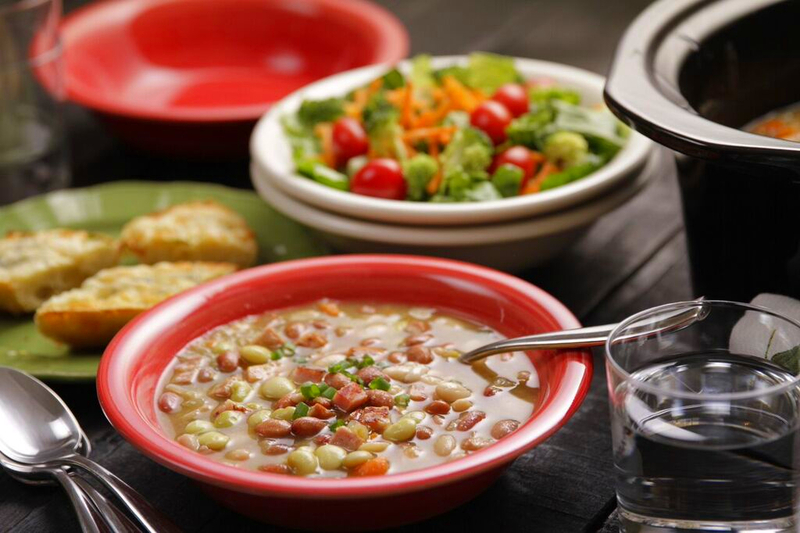 Throw it all in the slow cooker with the beans and the spice packet; then, set it and forget it. Get the recipe. Pick up a few easy add-ons to round out the meal, either during your weekly grocery shopping or on the way home from work – like a nice, green bagged salad and a fresh baguette that easily turns into cheesy garlic bread. 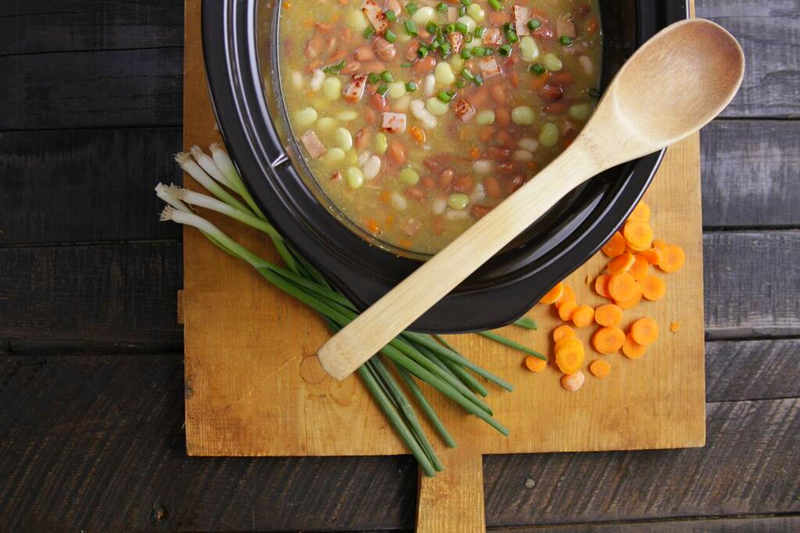 With that, you’ll have a nutritious and delicious dinner ready with minimal effort. And nothing’s better than coming home to a warm family meal that’s already made. 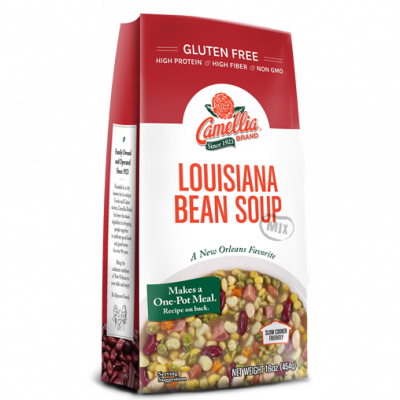 Ladle some creamy Louisiana Bean Soup into your favorite bowls, top with some chopped green onion, break some bread with your family, and enjoy. You deserve it.